Peripheral Artery Disease is the type of disease is a form or type of Peripheral Vascular Disease, where there is either a partial or total blockage of a particular artery, which in most cases is usually an artery leading to either a leg or arm. Atherosclerosis is another type of artery disease (blockage), only this type of blockage occurs as a result of fatty deposits in the arteries. This not only affects the legs but can also affect blood flow to your heart and brain. This disease is a “common circulatory problem in which narrowed arteries reduce blood flow to your limbs”. Painful cramping of the hips, thigh or calf muscles after walking or climbing stairs. Numbness and/or weakness in the leg. Obvious changes in the toenails. Experiencing coldness in the lower affected leg or foot, in comparison to the other leg. 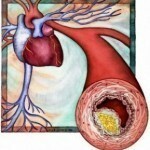 Atherosclerosis is said to be the most common cause of this disease. Atherosclerosis occurs when there is a build up of fatty deposits in the walls of your artery and as a result this reduces blood flow. 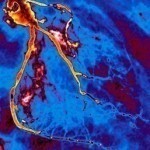 The least common cause of Peripheral Artery Disease is said to be blood clotting in the arteries, injury to the limbs. When selecting treatment for this disease, there are two major goals that must be accomplished. The first is to manage the symptoms of this disease. The symptom that needs to be control firstly is the leg pain, so that patient will be able to resume normal physical activities. 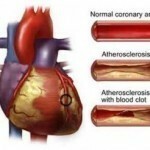 The second symptom to be controlled is the atherosclerosis; the aim is to stop the progression of this symptom from spreading throughout the rest of the body in order to reduce the chances of heart attack and possibly a stroke. How to achieve these two goals, is by simply applying certain changes to your lifestyle. If you smoke, quitting this habit would be highly recommended, as this will reduce the artery blockage’s progression along with foreseen complications. If simple lifestyle changes are not doing the job, then additional medical will need to be sought. Medical treatment in this case will be medications pertaining to the prevention of blood clots, to lower blood pressure and cholesterol. Medication for pain may also necessary. In the cases of intermittent claudication occurring as a result of peripheral artery disease Angioplasty and Surgery may be necessary as a means of treatment. 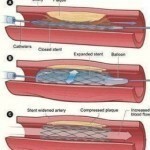 Angioplasty – a small hollow tube is threaded through a blood vessel to the affected artery. Bypass Surgery – this is done to allow blood to flow around the blocked (affected) artery. Thrombolytic Surgery – once there is blood clot(s) present at the artery you will need to be injected wit a clot-dissolving drug, in order to break up the clot.